I'm playing along with the Papertrey Ink July 25, 2017 All Day Blog and hoping this fits the parameters. I wanted to send a note to our property management who is so responsive and delightful and this card went in its own direction. I was having camera issues and the wave is really bluer than it shows, but here goes. 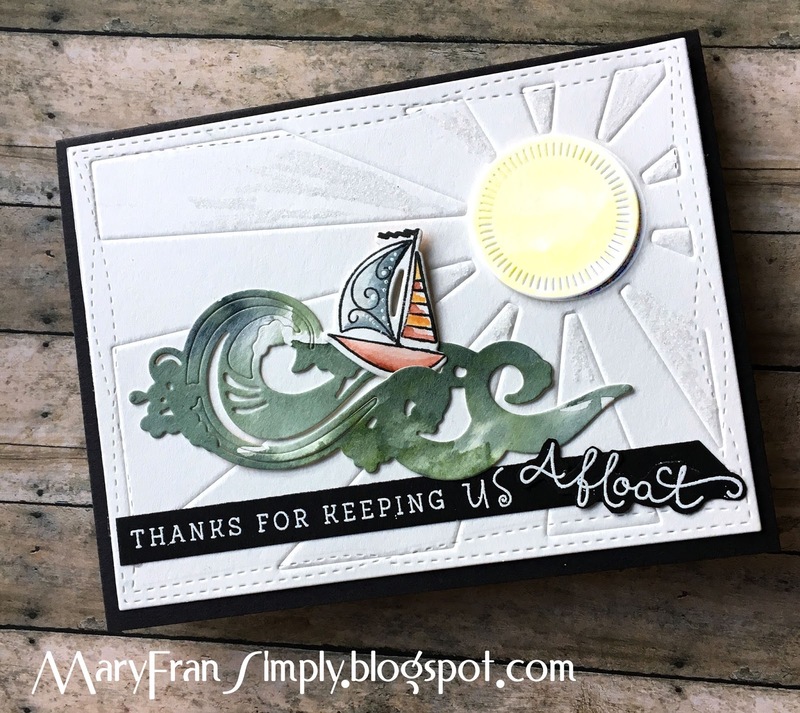 To create this A2 card, I embossed the white cardstock panel with a sunray die, watercolored the wave with a mix of blues and greens, watercolored the little sailboat. To be honest, I goofed up the center of the sun and since I had already adhered everything, I die cut a new center circle for the sun...not thrilled with it, but I liked the rest of it so much I just went with it. 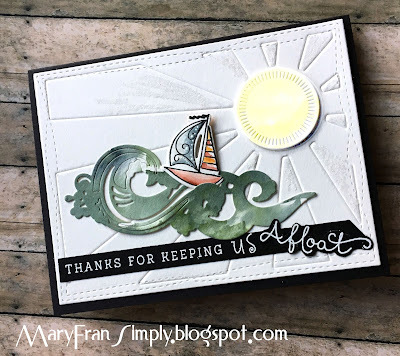 I white embossed the sentiment - fussy-cutting the 'afloat' and adhering it on an angle. The materials used are listed below and thank you for reading! Beautiful, Mary! The wave and boat are wonderful! What a thoughtful card! A stunning card and totally frame worthy! Pretty card and so thoughtful! I love how you changed up the sentiment too!